In this tutorial, we will try to explore that how we can integrate with the H2 database in a Spring Boot application. What is the H2 database? How to integrate the H2 Database with Spring Boot? 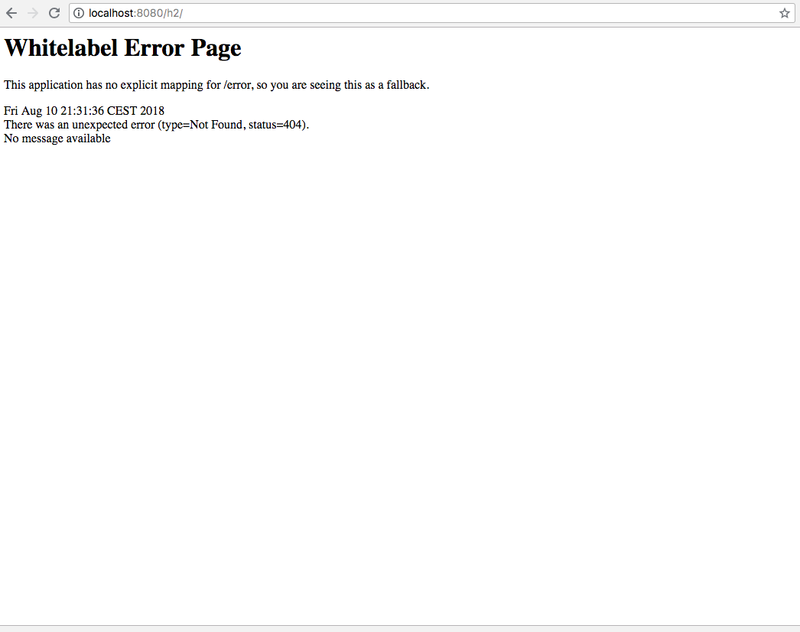 - Written purely in Java. It is called in-memory database because it is created on starting the application and gets destroyed on stopping the application. H2 console application helps to access the database from a browser. So basically, it is a client/server application. As we are using h2 in embedded mode(h2 jar is part of our application), so once our application is up and running,h2 console server will also be up and from there we can connect to h2 database. Say, we want to do some POC(Proof of concept) before starting a project or we are working on prototype, in such case scenario,it will not be ideal to set up an actual database, as it will involve a lot of effort and cost for having a database server, Installing database, creating schemas, tables etc.So in such scenarios we use in memory database like h2. Integrating the H2 Database with Spring Boot is like a cakewalk. 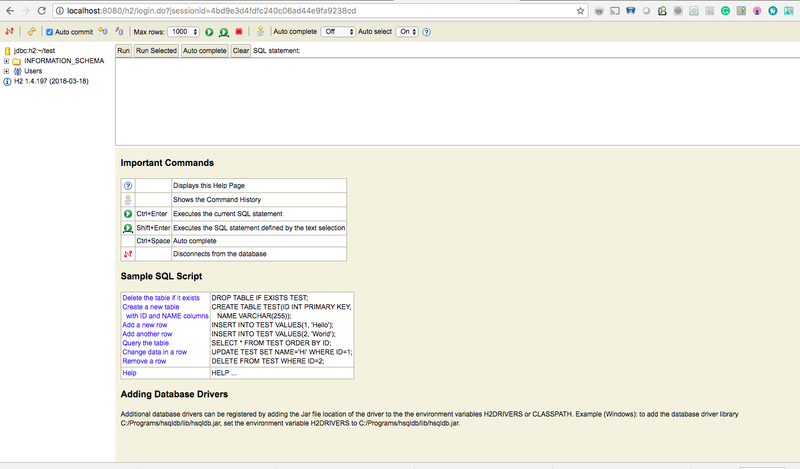 Fill the Group, artifactId, and dependencies(web and H2) and click on Generate Project button. It will download a zip with name springBootAndH2DbIntegration on your local drive. Extract the zip. 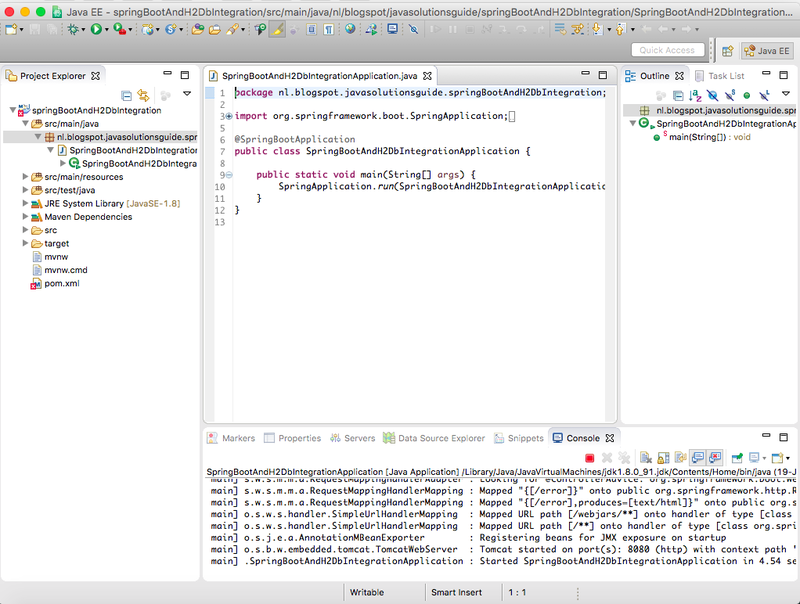 Import the extracted folder in eclipse as existing Maven Project. Note: We are adding the h2 dependency to connect with H2 in-memory database. 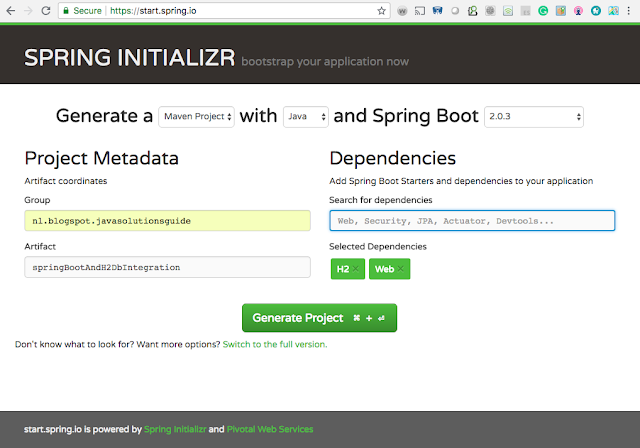 As h2 jar will be there on the classpath, Spring boot automatically creates a data source to connect to h2 database. 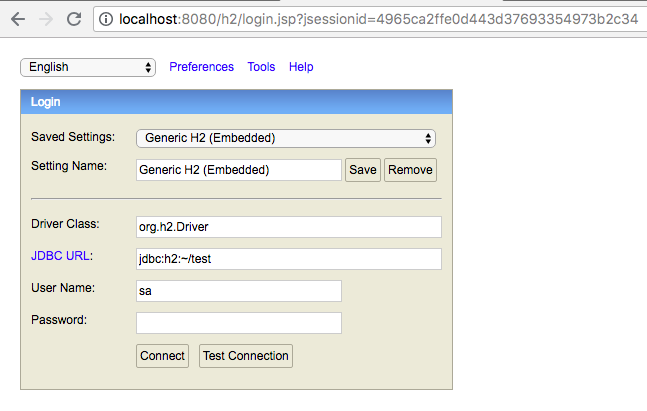 Open springBootAndH2DbIntegrationApplicaiton.java and run it as Java application. This will start embedded Tomcat Server as well and deploy the application on Tomcat. As you can see in the logs that Tomcat started on port 8080 and SprigBootAndH2DbIntegrationApplicaiton started successfully. 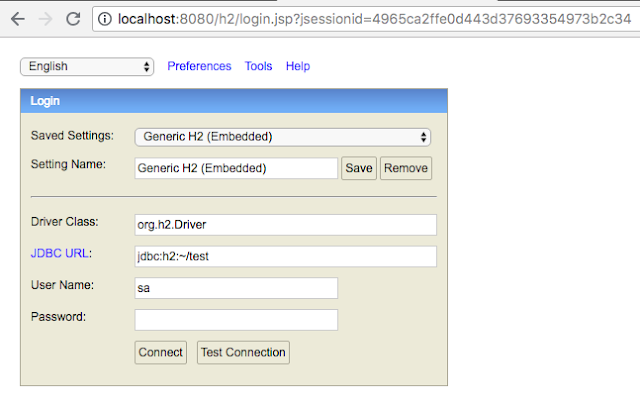 Now if you hit the following Url, you can see that H2 web console is up and running and you can connect to H2 database. 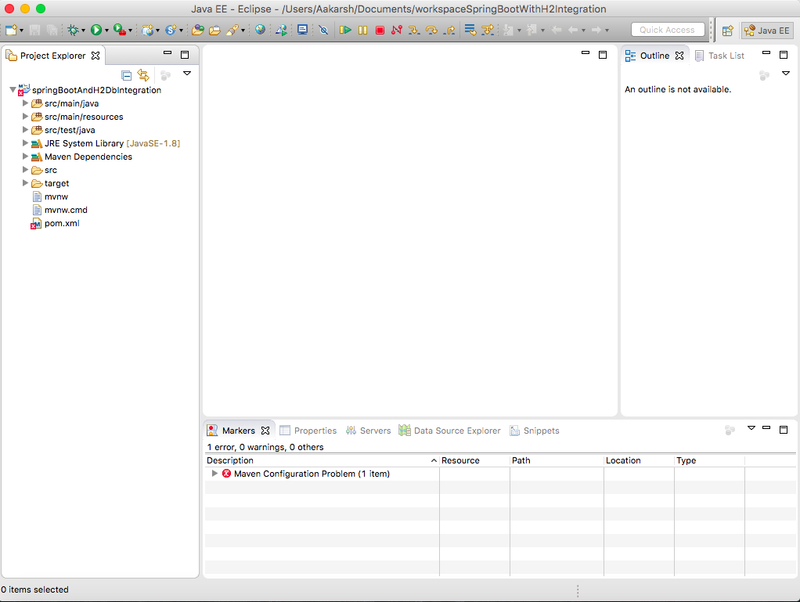 Now click on connect button and you will see that database connection with h2 DB is established. To disconnect h2 database, click on the following icon on extreme left of the H2 Console and it will land you back to the screen in step 6. By clicking on this icon, we are just disconnecting from the database, however, h2 console server is still up and running.so we can again click on connect and connect to the database. 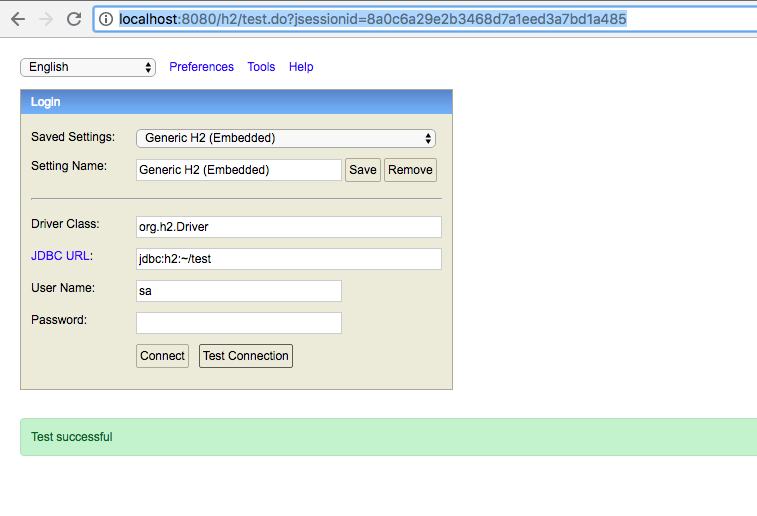 That's all on How to integrate H2 database in Spring boot app. Please share it with someone you think it might help.